Washington (AFP) - When Juan Guaido declared himself to be Venezuela's acting president, governments around the Americas were ready. Within minutes, US President Donald Trump recognized him as did the leaders of Canada and major Latin American powers. 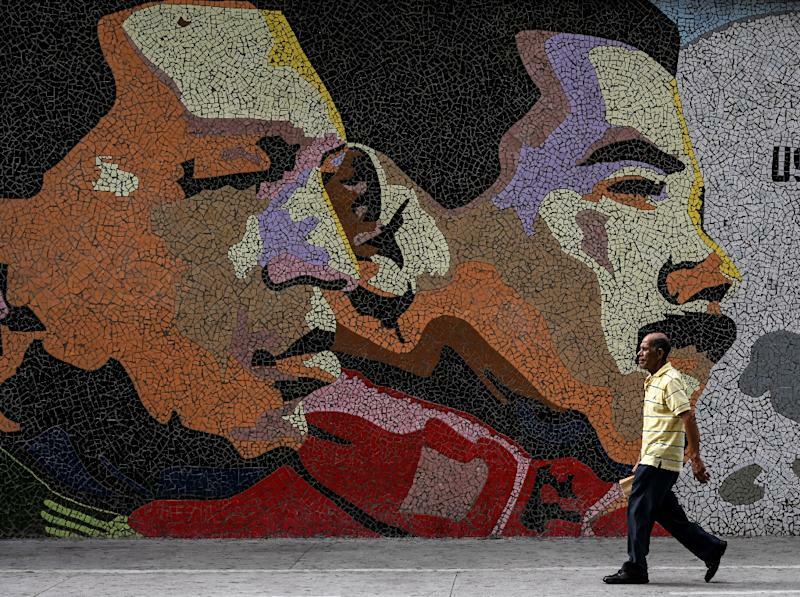 The dramatic turn against Nicolas Maduro's leftist regime culminated quickly, but it came after weeks of behind-the-scenes diplomacy including a hushed meeting in Washington with Guaido amid growing alarm as Venezuelans fled their crumbling economy in droves. The emerging coalition has presented a rare opportunity for Trump -- strong international support behind the goal, if not always the rhetoric, of the "America First" president always willing to go it alone. "It's allowed for the space that we are now in -- a positive, multilateral environment where it's not Maduro against Trump, or Venezuela against the United States; it's the world against a dictator," said Fernando Cutz, a former top White House aide on Latin America under both Trump and his predecessor Barack Obama. Cutz, now a senior associate at business advisory firm The Cohen Group, said a crucial factor was the emergence of Guaido, a 35-year-old engineer untainted by the long-running battles within Venezuela's opposition who was elected head of the National Assembly. "I've been working with the opposition for many years. I have never seen them as united as they are now," he said. "Part of this is that they realize that this is a very important, do-or-die movement, and that if you don't defeat Maduro now, chances are he'll be very ingrained and we'll have another Cuba on our hands for the coming years or decades," he said. Cutz said that foreign powers worked closely with opposition figures who can travel freely but also kept contacts within the country, using encrypted messaging services such as WhatsApp and Signal or, for added security when homes are bugged, turning to personal intermediaries. Guaido also paid a discreet visit to the US capital in December to meet key players, likely including national security adviser John Bolton and Senator Marco Rubio, said Geoff Ramsey, assistant director for Venezuela at the Washington Office on Latin America, which promotes human rights. "What's happening now has been an effort of much diplomacy, in which sometimes the best thing has been not to tell what was going on," an opposition figure said on condition of anonymity. International efforts gathered steam in 2017 with the formation in the Peruvian capital of the Lima Group, comprising Canada and Latin American states other than Venezuela's leftist allies, and tasked with finding a way out of the Venezuelan crisis. A Canadian official said that the Lima Group stepped up coordination after Colombia and Peru heard "noises" that Guaido would declare himself president and as Maduro went ahead with his January 10 inauguration for a second term after widely criticized elections. 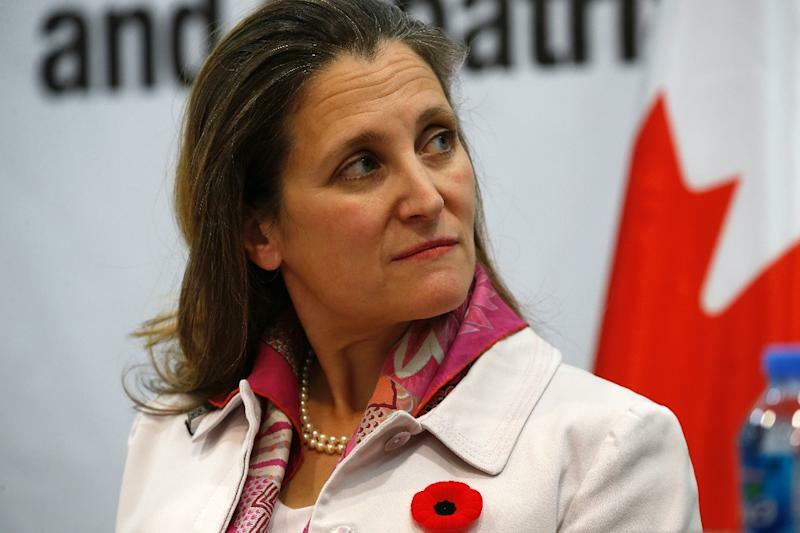 The Lima Group met in Peru on January 4, with US Secretary of State Mike Pompeo joining by videoconference, and Canadian Foreign Minister Chrystia Freeland spoke by telephone with Guaido several days afterward. "There were all these sign-posts that pointed to a tipping point that previously wasn't there. And we give a lot of credit to the opposition for coming together in the way that they did," the Canadian official said on condition of anonymity. He rejected suggestions that the Trump administration masterminded a coalition, saying that Lima Group countries aligned with one another and informed the United States and the European Union of their intentions. "We see it very much as a Latin American-led initiative to push this at the fore. It just so happens that we are pretty well in concert with what the US believes," he said. "We certainly don't take instructions from them; we do have conversations with them." In the United States, much of the policy on Venezuela was spearheaded by Rubio, the Florida Republican and sworn foe of Cuba's ruling Communists. Four minutes before Trump recognized Maduro on January 23, Rubio was already on Twitter teasing "important news" momentarily. "Senator Rubio has had a very firm position, very clear, with respect to Venezuela. For several years he has had a very precise snapshot of what was happening in Venezuela," said opposition activist David Smolansky, a former mayor who heads a technical group in the Organization of American States on the crisis. Cutz, the former White House aide, said that Trump took a stronger interest in Venezuela than Obama, even if on paper their policies of targeted sanctions were similar. "Obviously, when the president personally cares about the topic, that immediately shoots it up to the priority list and you're able to cut through a lot of the bureaucracy," he said. The United States has turned its attention to countries that still back Maduro -- notably Russia and China. 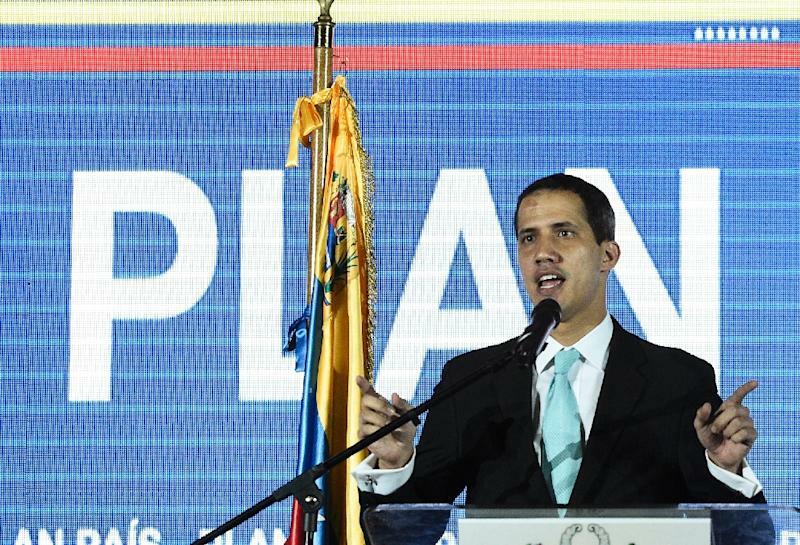 It has also urged European powers to move ahead with plans to recognize Guaido. Mexico, which has offered to mediate in Venezuela, has also declined to recognize Guaido. But Trump's repeated warnings that "all options are on the table" has threatened to fray alliances, with the Lima Group saying Tuesday it did not support a military intervention.